An Employee Assistance Program (EAP) provides confidential and voluntary counseling referral services free of charge to employees and members of their family household. The EAP does not share any information about an employee’s or a family household member’s involvement or use of services without the user’s prior knowledge and written permission, except as may be required by law. The EAP itself provides assessment and referral services and also short-term counseling. These services are available for personal problems and concerns such as domestic violence, eating disorders, anxiety or grief, marital relationships, parenting, stress, and work performance. When an employee or family member contacts the EAP, the EAP staff will help set up an appointment with a professional EAP counselor. A decision will be reached as to the best approach to resolve a particular problem. Many problems can be resolved or improved through short-term counseling. If necessary, recommendations for additional counseling may occur. The College is concerned about the well-being of its employees and their family members and provides this voluntary program at no cost to you. However, you may be responsible for any costs outside the EAP sessions, such as for services by referred providers. Your EAP counselor will talk about these costs with you before outside services are used. Your health insurance plan may cover some or all of these expenses. 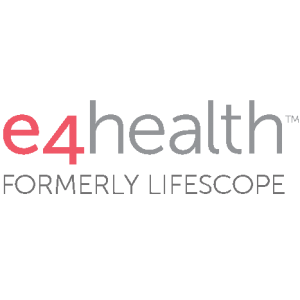 The e4health (formerly Lifescope or the Wellness Corporation) can be reached by calling 1-800-828-6025, 24 hours a day, 7 days a week. For more information visit www.helloe4.com Enter williams college as the Username and guest as the Password. Orientation to EAP Services – Archived Webinar. Register to watch!